Recovering from a data breach or identity theft can be costly and time-consuming. With Tech Home data protection, you can keep your personal information and files safe wherever you are, starting at just $5.95 a month. 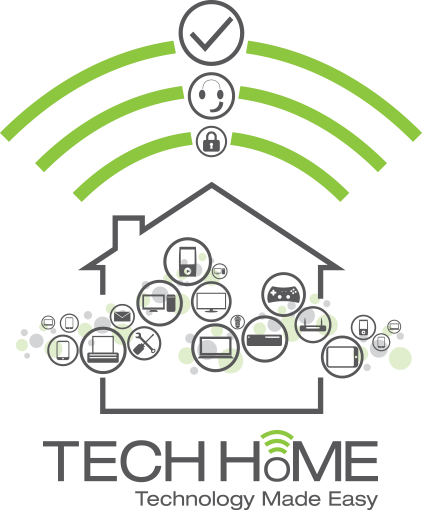 Tech Home is a series of three apps you can access right from your smartphone or device. They sync with Mac and PC devices so you can easily access from work, home or on-the-go. Plus, you’ll have peace of mind knowing you have access to 24/7 technical support. Keep your personal information and data protected from identity theft using industrial-strength encryption and security. Store personal information like pin numbers, credit cards, prescriptions, insurance information and more in one convenient secure location. Easily keep track of all your online passwords. Save usernames and passwords so forms will autofill as you browse the web. Plus, generate new passwords and rate their strength. Receive notifications of computer viruses or web pages with malware, phishing or fraudulent content. If a website is trying to access information from your computer, you will be alerted so you can quickly stop it. For instance, if your child’s gaming app makes an unusual request to access the front facing camera and the game does not require it, the app will alert you. This keeps strangers from getting a photo or video of your child without your permission. Keep track of what type of information and permissions various apps and sources ask for so you always know if something is out of the ordinary. Use the on-install feature to check for threats before downloading an app and use the on-demand feature to scan the entire device for suspicious activity anytime. Easily access files across all devices using this secure, cloud-based storage. Upload or download photos, videos, work documents and more using your mobile device or computer. Plus, use the auto-save feature to never lose another memory. Choose the Tech Home Solution That’s Best For You! Support you want – protection you need. Need To Add More Devices To Your Plan? Need help with your Tech Home apps? Tech Home customers can call the 24/7 hotline at 866.217.1551 for technical support related to the apps, or call us at 888.659.6009 for any internet service related issues. Protect your data, devices and communications wiring for one low monthly price! To better serve you, please select your state and city.